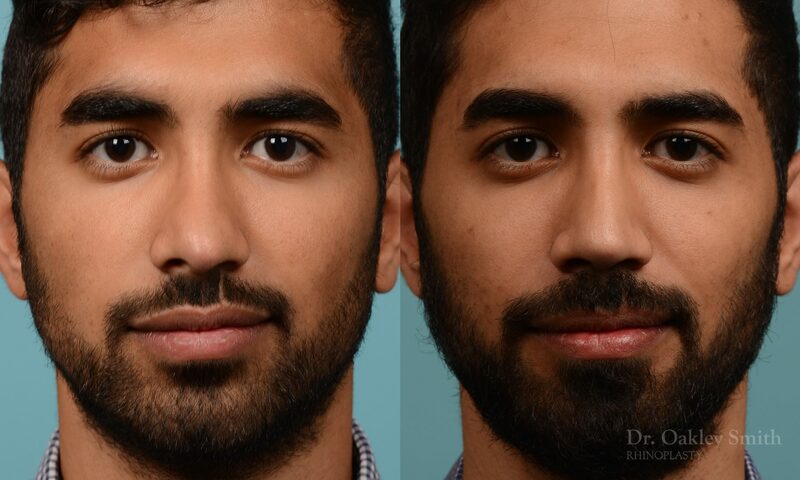 This man had undergone a septo-rhinoplasty by another Toronto surgeon five years before. Unfortunately he then had two nasal injuries that caused his nose to shift to his right and reduce his nasal breathing. He wanted his breathing restored and his frontal view made straight. 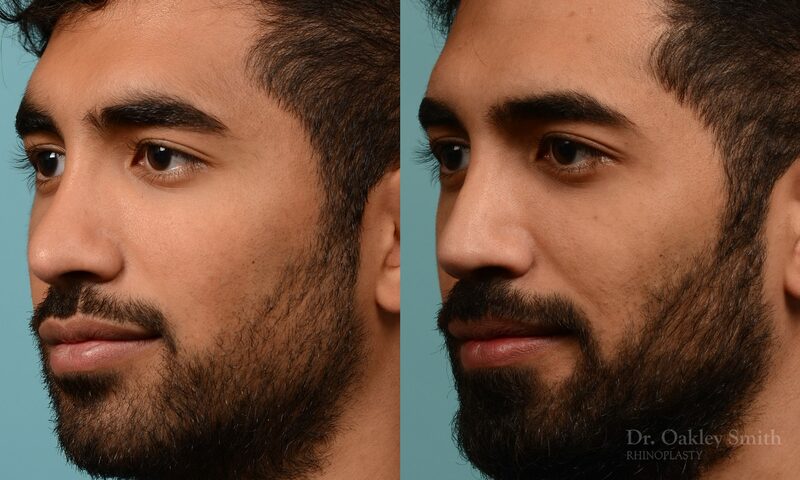 Additionally, he disliked the uneven nostril rims seen best on frontal view, the twisted columella and the mild right supratip swelling. 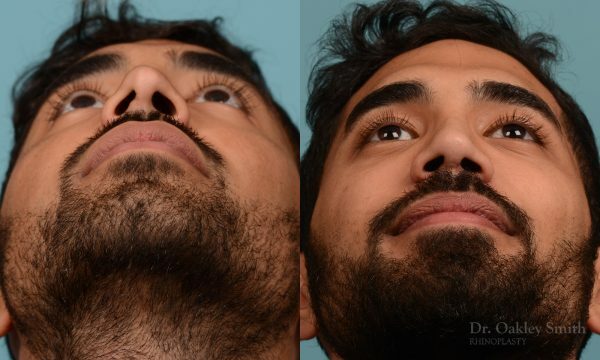 At the time of surgery, his septum was so extremely twisted that small absorbable plastic implants were attached to the septum to maintain it straight and provide temporary support. These implants self absorb and do not need to be removed. Externally, his profile was made straight. 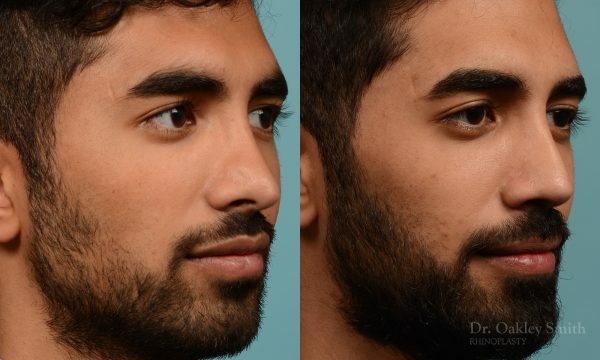 This is really the only preferred masculine profile. Sometimes a very slight residual bump is chosen as it maintains a very natural look. 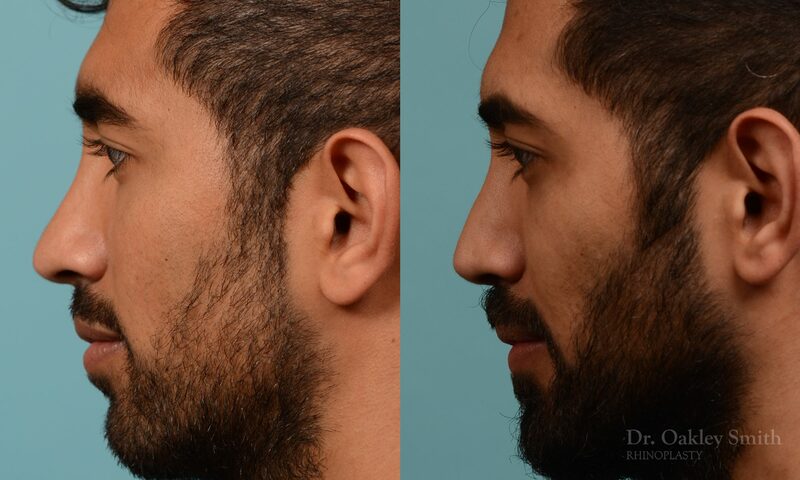 A curved profile, like pre-operatively, isn’t desired for men as it creates a feminine look. Additionally his bent columella was improved. The unevenness of his nostrils was minimally improved. On bottom view, you can see his nostrils are more symmetric although they aren’t equal in size. He was warned this would likely be the case, as this repair has a poor success rate. The overall size of his nose was made slightly smaller. Care was taken not to reduce the nose any more than needed to make the straight profile, as a small nose on a man isn’t a strong masculine look. His bulges and the sides of his bridge just above his tip were smoothed away which help reduce his ‘bottom heavy’ looking nose. 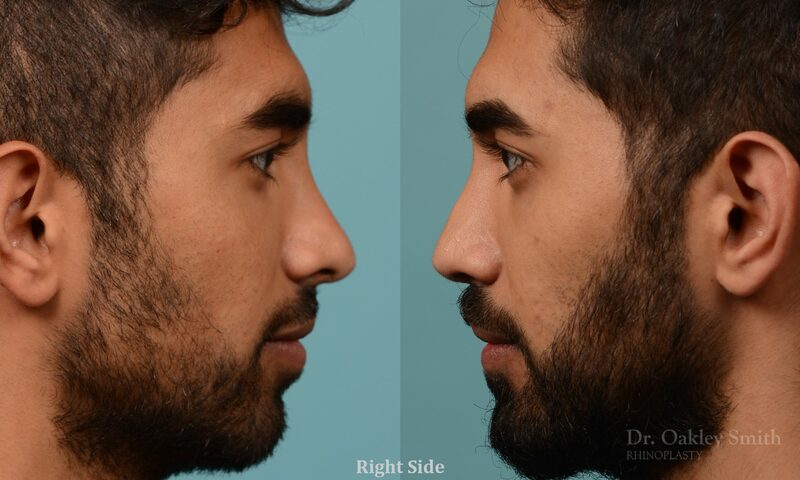 If you are interested in learning more about your rhinoplasty surgery options, contact the office of Dr. Oakley Smith to book your consultation today.